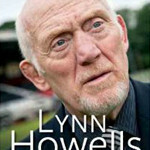 Whilst the exact origins of Pontypridd R.F.C. are difficult to establish, it is generally accepted that the date of formation was 1876. The club was present at the preliminary meeting held at the Tenby Hotel in Swansea in 1880 to discuss the formation of a Welsh Rugby Union, and had a player (Edward Treharne) included in the first Welsh international team which played England at Blackheath in 1881. Another Pontypridd player, Thomas Williams, featured in the first international against Ireland in the 1882 game at Dublin. Further international honours in the early years were gained by Ernie George, who was capped three times as a forward in 1895-96, and Frank Hawkins who was also capped twice as a forward in 1912. 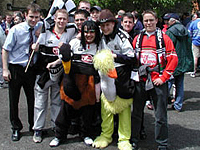 Pontypridd R.F.C. played its initial matches at Taff Vale Park in Treforest, and then moved to the ‘People’s Park’ alongside the Rhondda River near Mill Street School. The club took up residence at Ynysyngharad Park in 1908, and stayed there for sixty five years. The construction of the new A470 Cardiff-Merthyr road signalled another move, and in September 1974 Pontypridd played Maesteg in the first match at the new Sardis Road headquarters. 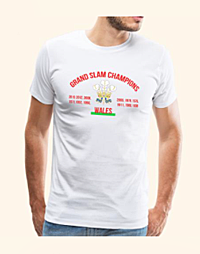 Although often regarded as an ‘unfashionable’ team in the fifties and sixties, Pontypridd regularly figured in the top ten of the unofficial championship, and won the competition for the first time in the 1962-63 season. 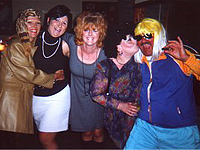 What many would regard as the first ‘golden era’ for the club occurred in the years between 1975 and 1982. Under the captaincy of the legendary Bob Penberthy, and then under Tommy David, Pontypridd won the championship in 1975-76, 1977-78, and 1978-79. For seven years Ponty were never out of the top four. Its unfashionable status often meant that Pontypridd players had to move to other clubs to get international honours. 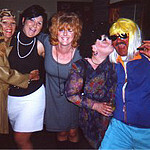 However, the club had its successes up to the end of the 1970s, especially with Russell Robins and Tommy David. Regarded by many as among the best players in the World in their positions, both were British Lions as well as gaining Welsh international honours, Russell in the fifties (13 caps) and Tommy in the seventies. The 1994-95 season also saw the club play the South African tourists at Sardis Road, and an invitation to play Northern Transvaal to open their new Loftus Versfeld stadium prior to the World Cup. 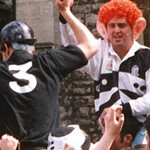 The club beat the Fijian tourists in the 1995-96 season, and took part in the inaugural European Cup competition. Many players gained international honours during those years, namely, Neil Jenkins, Paul John, Kevin Morgan, Gareth Wyatt, Dafydd James, Mike Griffiths, Andrew Lamerton, Mark Rowley, Greg Prosser, Stuart Roy, Martyn Williams, and Dale McIntosh. Crispin Cormack, David Manley, Steele Lewis, Jason Lewis, Aled Griffiths, Jonathan Evans, Neil Eynon, Mathew Lloyd, and Phil Thomas gained international honours at Youth, Under-21, or Wales A/Emerging Wales levels. Neil Jenkins became the highest ever points scorer in the world, the most capped Welsh outside half, and a match winner for Pontypridd, Wales & the British Lions. In addition, the Pontypridd Youth squad have provided many players for the Welsh Youth international team in recent years, as well as fielding a number of players who have figured in the Welsh Schools XV. At the start of the 1999/00 season the Club looked set for hard times with the loss of many of it’s top players. Ponty suffered from the defection of British Lions Neil Jenkins and Martyn Williams to Cardiff, Lion Dafydd James to Llanelli, Kevin Morgan to Swansea and Rhys Shorney to Ebbw Vale, then a season later Geraint Lewis takes the plunge and goes to Swansea (rumoured to have made the decision due to pressure by the WRU). Ian Gough returns to big spending Newport and we look down and out again! But Richie Collins coaches the side and has some great successes (including Leicester!) as well as a few silly losses. Ponty however finish the season in 9th place. Our worst ever position since league’s began, and fail to qualify for Europe for the first time. 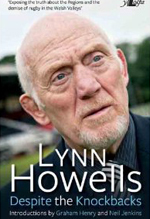 The 2001/02 season started poorly but with the return of Lyn Howells somehow managed to turn it around. A silly loss up at Leeds meant we got through the ‘Shield’ group the hard way but we were on the way back! The 5th place in the League was gone but there was the Parker Pen Shield left. We beat Saracens. We beat London Irish. But just failed to go that bit further, losing out in the ‘Shield’ final and on next years Heineken Cup to Sale Sharks (2nd in the ZP to Leicester). We beat the Turks to win the Welsh Cup for only the second time in our history and things were looking good. Neil Jenkins returned the year after and Ponty were well and truly the club to be involved with! 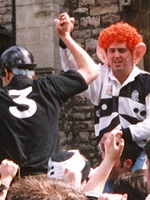 The 2002/03 season was a bit of a mess with ‘regional’ rugby being debated. We did well in the Shield again with big wins over Roma as well as just pipping Leeds and Connacht to earn a semi-final place against Wasps where we lost both legs 34-19 away and 17-27 at home. Bridgend win the Premiership as Ponty put out a second string side at the end of the season and annoy the paying public, who bought season tickets on the understanding that they’d be watching a top class team. No refunds were offered and we even lost to awful C****** in the last game of the season! All in all a pretty lame end to the season that could have been so much better. Then came the defining moment in the club’s illustrious history. The 2003/04 season and ‘regional’ rugby. Wanted by Graham Henry, demanded by Steve Hansen and brought in by David Moffett. Most people in Wales wanted regional or provincial rugby and the likely structure might have been ‘Glamorgan’, ‘The West’, ‘Gwent’ and ‘The South’, with a development province up ‘North’, but due to selfishness and greed we had C****** wanting to stand alone, Llanelli wanting to stand alone and Newport merging with Ebbw Vale and the rest of Gwent, calling themselves Newport and playing in black and amber at Rodney Parade. Good job Swansea went bust and were forced to merge with Neath, or poor old ‘Neef’ would have been shafted by the WRU from the start, as Ponty, Bridgend, Ebbw Vale and Caerphilly were! The ‘Warriors’ saga had many twists and turns but ultimately it was Ponty who were to blame for not going bust earlier (c.f Swansea). At a meeting of the shareholders on Sunday, 21st of September 2003 it was announced that the club was insolvent, and that administrators were to be called in to wind up Pontypridd Rugby Football Club PLC. A new company, to be called – Ponty Rugby Limited – had been formed to run the new semi-professional Welsh Premier League side. The debts of the old company were in the region of £700,000, and administration was the only course of action available. Although there were many awkward questions for the Directors to face over the following weeks, there hasn’t as yet been any action taken against them. For loyal fans the question was why the club had not taken this course of action much earlier. It was clear that this would have had many advantages for Pontypridd RFC, not the least of which was that good Ponty money (remember those bucket collections?) went down the drain – either into the Warriors coffers or to the administrators. The result was that all the old Board was thrown out in subsequent elections, and a new team elected to run the club. As far as the ‘Warriors’ were concerned though it was Leighton Samuels and Bridgend who now owned all of the new region and poor old Ponty had no say (or shares), and thus when Samuels washed his hands of us like Pontius Pilot it was left to Barclays sponsored Moffett to shut us down. Perhaps we should write to Barclays Bank and tell them exactly why we are closing our accounts, or would that be too much trouble for people to do? At time of writing Ponty are of course still involved in the Welsh Premiership – a second tier of rugby below the so-called regions (i.e. three stand alones and one merger). With the WRU idea of us supplying C****** with all our best rugby players it seems we have a long way to go before we will be in a position to break the cycle and rise again as a force in our own right. C****** meanwhile are laughing all the way to the bank as they still don’t have to develop their own players (the valleys will do that for them), and can now officially, and with WRU approval, plunder the talent from north of Taffs Well to use and abuse as they see fit. Pontypridd RFC have always been a successful club but in the years 1975 to 1982 Ponty were never out of the top four clubs in Wales. The club did enjoy even greater success when the new League structure and Welsh Cup came to Wales, and were amongst the top three clubs in Wales since 1991. With the advent of ‘pretend’ regional rugby all looked rosy and Ponty were all set to become part of the strongest team in Wales and Europe, having combined with Bridgend to form the Celtic Warriors. Indeed, in their first season the ‘Warriors’ even managed to beat European champions of 2004 – Wasps! It was therefore only a matter of time before a Welsh team won the European Cup and that team would have been the ‘Warriors’. But the dream that we’d somehow survive in a professional age was short-lived as Ponty went bust and had their half share in the Celtic Warriors bought by backer Leighton Samuels who subsequently gave them to the WRU. Incredibly and against public opinion CEO David Moffett closed them down, put rugby back 20 years in Wales, forcing many life long rugby fans to desert the game forever and in effect forced the ‘Warriors’ players to take up contracts with the other inferior teams left in Wales. Like a bunch of piranhas the other ‘clubs’ quickly butchered the fine crop of Welsh internationals and British Lions that were part of the great Ponty set-up and probably gave Muppett some thread bare carpets, a few cheap pies and an old lorry for his trouble. To say this was a crazy decision by the WRUin was the understatement of the century. Imagine the English Premier Football League getting rid of Man Utd. (the Warriors) whilst keeping hold of Hull (the Blues) and Blackburn (Newport) – utterly beyond comprehension! Welsh club rugby has been paying the price ever since. As the WRU moved towards it’s ultimate aim – the erosion of Welsh culture, an M4 corridor 4-team Wales and the inevitable destruction of Welsh rugby we wonder what next? Ponty stays a premiership club of course, but with the club resigned to being a feeder club to ‘we’ve never won anything and never will no matter how many ex-Kiwis we buy’ C****** we must assume we will never win anything ever again, as all good players we produce will take the A470 south to the big city with it’s shining lights and loose women, or west to the Ospreys and unfulfilled potential thus ensuring Ponty never develops into a great team again in their own right. But perhaps David Moffett will die in some freak yachting accident and the WRU will be taken over by someone who understands the Welsh psyche and the Celtic Warriors will rise again. Until then we’ll visit DIY stores, support Ponty in the premiership and watch our local village clubs. Who knows, some day soon the WRU will realise that Wales needs at least 5 (probably 6) strong regions of Welsh qualified players and a new valleys region will rise from the ashes. That is certainly the future. After several years of posting fixtures, results, the odd match report and links to other rugby related sites we’ve decided to give up this bit of work and instead direct you (once again) to the official Ponty Rugby web site whose fixture list should always be up to date unlike ours. To view the latest fixtures and results – click here. This link should take you to the BBC Wales web site which has a pretty up to date table – click here. Does pontypridd have a women rugby team ? Timeline…..Cyril Arthur Tarr and contemporaries….will post if necessary.